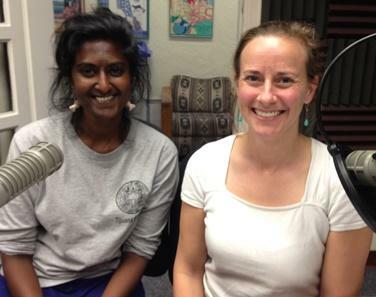 Photo: Nansi Singh and Sanders Moore at KRWG FM studios. 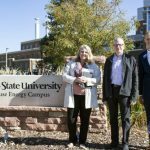 Las Cruces, NM – On this edition of PUENTES, bridges to the community, host Emily Guerra meets with Environment New Mexico State Director, Sanders Moore, and Legal Intern, Nansi Singh to talk about the future of Renewable Energy in New Mexico. For over 30 years Environment New Mexico, a citizen-based environmental advocacy project of Environment America, has been successful in tackling our state’s top environmental problems. More information on renewable energy is available at www.environmentnewmexico.org, www.environmentamerica.org, and on Facebook – Environment New Mexico. Visit original source to hear interview with Sanders Moore, Nansi Singh and host Emily Guerra.